Do you live and breathe cars? When you know everything there’s to know about cars – brand, model, specs – we consider you to be quite the Car Enthusiast. As such, we know you have your preferences, or even loyalties, towards certain brands which you’ve tried, tested and loved. 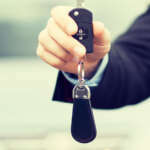 Whether you’re in the market to buy, sell or simply to find out how much your car is worth, we have some tips that might come in handy when you do decide to take the leap. Because of your ever-expanding knowledge, you probably already have your next car in mind and know exactly what you want. Unfortunately, it isn’t always as clear cut as picking out your dream car when you’re in the market for a used car. Our suggestion, shop around. Low-mileage demo models from your preferred brand are normally well looked after, well priced and almost new – giving you the chance to drive off in a new model, without the price tag. When selling your car, we know that you won’t trust just anyone to do your car inspection. 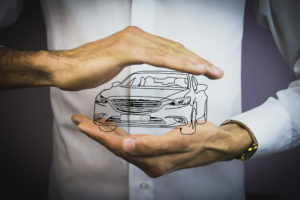 Because you know what your car is worth, you won’t take a cent less for it and are always on the lookout for a reliable private seller or company to offer a fair market-related price. You need a seller that speaks your language and shares the same enthusiasm and love for cars. That’s where we come in. BuyCentre has a No Appointment Necessary policy that allows you to pop in at your nearest dealer for an inspection. We will also come to you and do the inspection at a location that is convenient for you! What also makes us different is that we offer hassle-free registration, licensing and do the paperwork for you. No stress. No liability after the sale and completely hassle-free. We are committed to offering you the best price for your car when you download our app and opt for a free no-obligations quote. The advanced online BuyCentre pricing system includes a 300+ dealer network that allows us to guarantee you a top price when selling your vehicle to us. Place your trust in us and download the app to get started.